About two and a half weeks ago something extraordinary happened, extraordinarily bad to be precise. I fell off a boulder (last move of Secret Splendor, which is about 6 feet tall), which is nothing new. However this time I bounced off the pads at the base and hit the back of my head on a rock. Hard. Hard, like I imagine getting hit by a 2x4 would be. Stunned and a bit in shock, I sat there recuperating from the initial force of the hit and trying to figure out what to do next. Sacrificing a t-shirt to stop the bleeding a bit, I realized that although the impact had been substantial, I knew what day it was, who the people were around me and where I was. So far so good. Nothing else seemed to have been seriously damaged in the fall. Dilation of the pupils: OK. No vomiting, dizziness, or any apparent skull fracture. Clearly time to get out of there. A few more indoor sessions were followed by a day at Evans Area A the day before the staples came out. The truth is that, for me anyway I became much more aware of the potential for harm outdoors and it will probably be at least a month or more before I am back at the level of confidence I had before I fell. In a way this is a good thing as it should help keep me safer and more careful about potential problems with landings. In another way, it's a bad thing as what should have been a safe fall wound up being a potentially dangerous/lethal fall and I will be second-guessing these situations for a long time to come. Should I have had a spotter? Probably, though I have fallen off that move solo many times before. Should I have worn a helmet? The outcome says it might not have been a bad idea and having helped take a well-known bouldering author to the ER long ago in a similar fall situation, I had been warned that this kind of accident could happen. 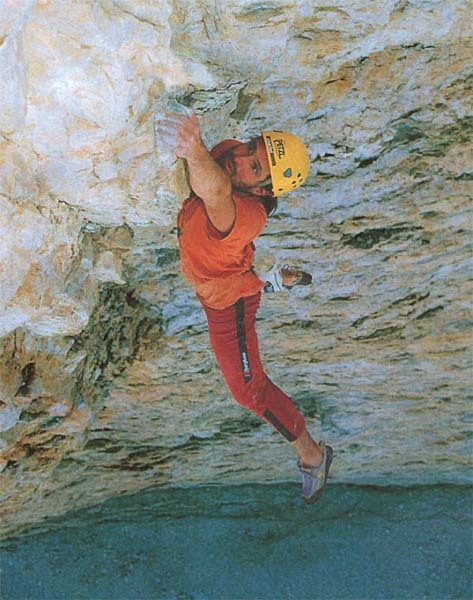 That boulderer is well known today because of his helmet use while bouldering. There is a great article on helmet use and design in the current issue of Climbing that emphasizes the risks that climbing poses to the head and more specifically the brain. There is increasing awareness with articles like this and films like The Crash Reel that there is a price to be paid eventually for repeated blows to the head. 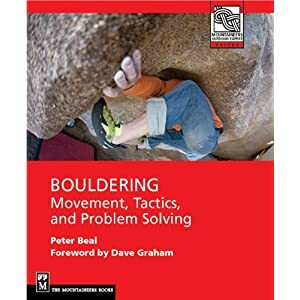 In the world of climbing, there has been relatively little attention paid to the affects of low-grade head and body impacts so far, especially in regard to bouldering. The Climbing article mentions that Metolius had plans for a bouldering helmet but that idea will have a lot of resistance to overcome from the bouldering world. For my part, I regard thorough padding of a problem to be part of the protective gear in the sport, much like a helmet for trad climbing or alpinism, making helmet use redundant, especially if you have a good spotter. This time I misused the gear, fortunately without too serious a consequence, as far as I know. I work primarily with my brain and have a vested interest in keeping it as coherent as I can. I know that for any serious climbing I may do in the future where potential for head-impact is genuine, I will be wearing a helmet. Frankly I am surprised that some of the serious highball problems being done these days don't involve helmet use. And if children are bouldering on anything at all serious, I strongly recommend considering it. But regardless of fashion or past practice, understand that if it happened to me, it can happen to you, only you might not be as lucky. Be safe out there! The deeper issue is that of how much responsibility young climbers can or should assume upon themselves when climbing. Given that many climbers believe in self-reliance and personal decision making, free of outside authority or supervision, it seems natural to blame the accident on "operator error" and similar to dozens of similar incidents that happen every year, some fatal, most not. However given the age of the victim and the preventable nature of the accident, I am not comfortable with that view. I think that there is a different audience for this sad event and that is the parents of young climbers. I am not going to presume to speculate on the private grief and sorrow of Tito's parents and I would never call into question their judgment with their son's pursuit of climbing. Tito had just completed his fourth 5.14 and you don't get there without safe climbing practices and careful supervision. But his death puts us in very new territory for the sport where parents especially have to ask what they can do to respect their children's desire to climb while being careful to acknowledge that they are not responsible independent adults and should not be treated as such. This is a place that young childless climbers simply cannot comprehend until they have children of their own and have dedicated their lives to the all-consuming task of rearing healthy happy children themselves. To lose one's child at any age must be unbearable and there is no consolation or easing of that grief that I can think would be adequate to the task. In the current celebration of young climbers' recent athletic feats is often lost any discussion of a less obvious kind of skill, one that was long ago described by Pat Ament as being "rockwise." This phrase describes a state of mind that is wary, cautious and deeply aware of the constantly changing environment of climbing, be it indoors or outdoors. If there is one problem with the attitude toward modern sport climbing and bouldering, it is the dismissal of risk as merely perception, that we can handle dangerous situations simply by rationalizing our fears and developing our mental and physical strengths. There is some merit in this approach but I wonder if it would be wise also to emphasize an outlook that recognizes hazard not merely in regard to procedures or technical skills but also in appraising routes, partner behavior, belaying strategies, and so on. Young climbers are very adept at mastering closed systems, quickly learning the rules for success in defined games such as sport climbing, games set up by teachers, parents, or mentors. But when things are open-ended or suddenly the rules change, children are still ill-equipped to handle them, especially when they really do not understand in a meaningful sense the real and permanent consequences of mistakes in climbing. Even grownups have a hard time mastering this kind of awareness as the steady stream of climbing accident reports makes clear. Climbing is simply not a safe sport in the sense that tennis or running or swimming are. In climbing, we are much more vulnerable than we realize, finding ourselves, even on sport routes, in lethal situations in a matter of seconds where we thought ourselves secure. Climbers typically deal with this through a combination of denial, black humor, and bad analogies (such as "climbing is safer than driving") and other coping mechanisms, mechanisms that, if we have any sense of propriety, have no place in the minds of young people. So this is new territory for everyone. As someone who started climbing independently around Tito's age, who had numerous close calls as developing as a climber, and who, even now, has to acknowledge failure at this (I'll discuss my recent head injury while bouldering very soon) I can speak to the difficulty of this situation. As an educator and youth coach I am aware how difficult the process of education and awareness really is. The difficulty however is only matched by the serious implications of failure if the message doesn't get through. If there is a positive outcome from this extraordinary loss it is through inspiring all of us to look clearly realistically and soberly at the risks of climbing and how our children are taught to understand and handle them.